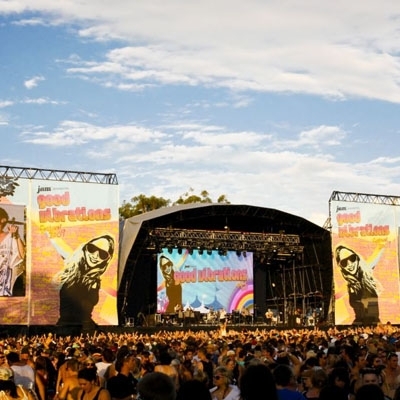 BookToday has a wide selection of accommodation close to the Good Vibrations Festival. Stay close and be a part of the grooving atmosphere. Good Vibrations always delivers an unforgettable party atmosphere bringing together the finest beat-based music around. The Good Vibrations festival aims to get back to basics in natural amphitheatres. The Gold Coast leg of the tour visits Southport's Parklands Showgrounds. A landmark on the Australian Summer calendar, Good Vibrations always delivers an unforgettable party atmosphere bringing together the finest beat-based music around.